Liga Metropolitana top team - ELOHIM (6-1) had no problems winning another game on Thursday. This time they crushed eighth ranked URL (1-3) in Chimaltenango 78-53. ELOHIM dominated down low during the game scoring 58 of its points in the paint compared to URL's 30. ELOHIM had a 34-22 advantage in offensive rebounds. 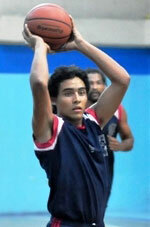 Point guard Pablo Cano (178-88) orchestrated the victory with a double-double by scoring 14 points and 12 rebounds. Center Bernie Diaz (200-81) contributed with 19 points and 7 rebounds for the winners. Rudy Morales (-99) replied with 17 points for URL. The winner was already known earlier in the game, so both coaches allowed to play the bench players saving starting five for next games. ELOHIM have a solid three-game winning streak. They maintain first position with 6-1 record. URL at the other side keeps the eighth place with three games lost. Both teams do not play next round, which will be an opportunity for some rest. Bottom-ranked La Villa is still unable to win any game. This time they lost on the road their fifth consecutive match to seventh ranked Villa Nueva (3-4) 99-58. Naturalized American power forward Freddy Fernandez (197-92) had a double-double by scoring 21 points, 11 rebounds and 4 assists to lead the charge for the winners and Enrique Samayoa chipped in 17 points, 11 rebounds and 5 assists during the contest. Center Carlos Florian (-93) responded with a double-double by scoring 19 points, 10 rebounds and 4 assists. Villa Nueva moved-up to fifth place. La Villa at the other side still closes the standings with five games lost. Both teams do not play next round, which will be an opportunity for some rest. 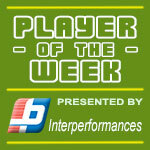 Liga Metropolitana top team - ELOHIM (6-1) had no problems winning another game on Thursday. This time they crushed eighth ranked URL (1-3) in Chimaltenango 78-53. ELOHIM dominated down low during the game scoring 58 of its points in the paint compared to URL's 30. ELOHIM had a 34-22 advantage in offensive rebounds. Point guard Pablo Cano (178-88) orchestrated the victory with a double-double by scoring 14 points and 12 rebounds. 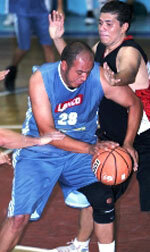 Center Bernie Diaz (200-81) contributed with 19 points and 7 rebounds for the winners. Five ELOHIM players scored in double figures. Rudy Morales (-99) replied with 17 points and forward Luis Perez (191-97) added 6 points and 11 rebounds in the effort for URL. The winner was already known earlier in the game, so both coaches allowed to play the bench players saving starting five for next games. ELOHIM have a solid three-game winning streak. They maintain first position with 6-1 record. URL at the other side keeps the eighth place with three games lost. Both teams do not play next round, which will be an opportunity for some rest. Bottom-ranked La Villa is still unable to win any game. This time they lost on the road their fifth consecutive match to seventh ranked Villa Nueva (3-4) 99-58. Villa Nueva outrebounded La Villa 49-28 including a 17-4 advantage in offensive rebounds. Their players were unselfish on offense dishing 23 assists. Naturalized American power forward Freddy Fernandez (197-92) had a double-double by scoring 21 points, 11 rebounds and 4 assists to lead the charge for the winners and Enrique Samayoa (193-82) chipped in 17 points, 11 rebounds and 5 assists during the contest. Five Villa Nueva players scored in double figures. Center Carlos Florian (-93) responded with a double-double by scoring 19 points, 10 rebounds and 4 assists and swingman Jose Alfredo Montenegro (-89) scored 11 points and 5 rebounds. Villa Nueva moved-up to fifth place. La Villa at the other side still closes the standings with five games lost. Both teams do not play next round, which will be an opportunity for some rest.